I’m in the middle of reading Mindy Kaling’s new book, Why Not Me, and can I just say that I am so in love with everything about it. 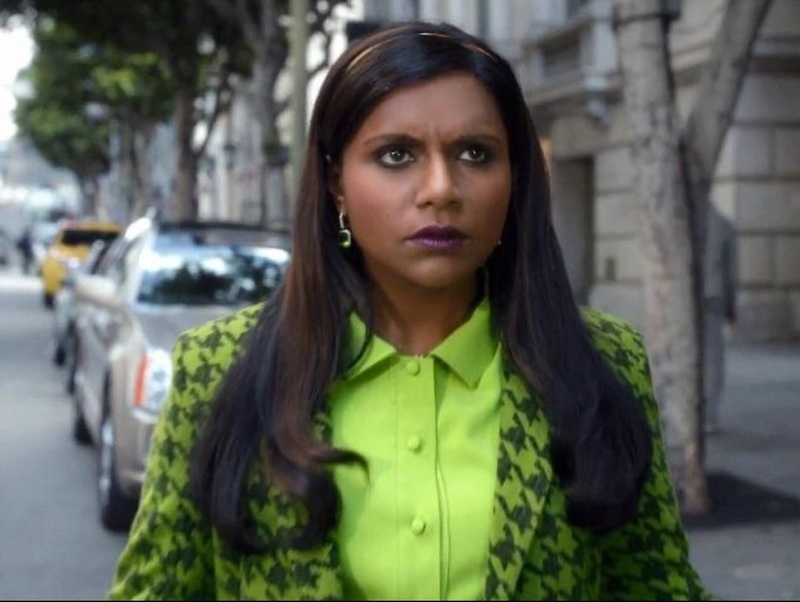 Here’s what I love about Mindy- she’s the perfect mix of confidence and self-deprecation. She laughs at herself. She laughs at the industry and it’s ridiculous standards. But she has gumption. She unapologetically believes in herself, her talents, and her general awesomness without taking it all too seriously. I dig that. She’s also completely open about being a socially anxious elitist. Everyone wants to be on the inside of some kind of club, and admittedly, Mindy herself is not exempt from such suffering. In both of her books, she essentially invites us to be in her club. It’s like she gave us the secret password and handshake, and for a few hours we get to sneak in through the back door and hang out at the party. We may be the fringe people of the club, but she invited us in and I love that about her. Like any good friend would, she tells us secrets- like how she really feels about being “the funny one” of the sorority (no one wants to be the court jester), and how sometimes being equally grateful and ambitious in her career is like walking a tightrope (read: it’s a literal booby trap). She tells us how basically everyone, everywhere in Hollywood wears fake hair. I knew it in my knower! Thank you for blowing the horn on that one Mindy. Me and my seven strands of hair don’t feel so bad about ourselves now. All of us girls with thin, lame hair are pumping our fist in the air, because we are liberated. It’s not our fault. We are not weird. No one’s hair is actually that amazing on it’s own. In the last year I’ve read a few other books by some other funny ladies- Bossypants by Tina Fey, Yes Please by Amy Poehler… Not surprisingly they all seem to know each other and be friends, furthering my belief that there is an actual Funny Girl’s Club that exists, and all I know is I WANT IN. I’m still waiting for Kristin Wiig to write a book. I’d be the first person in line to buy it. 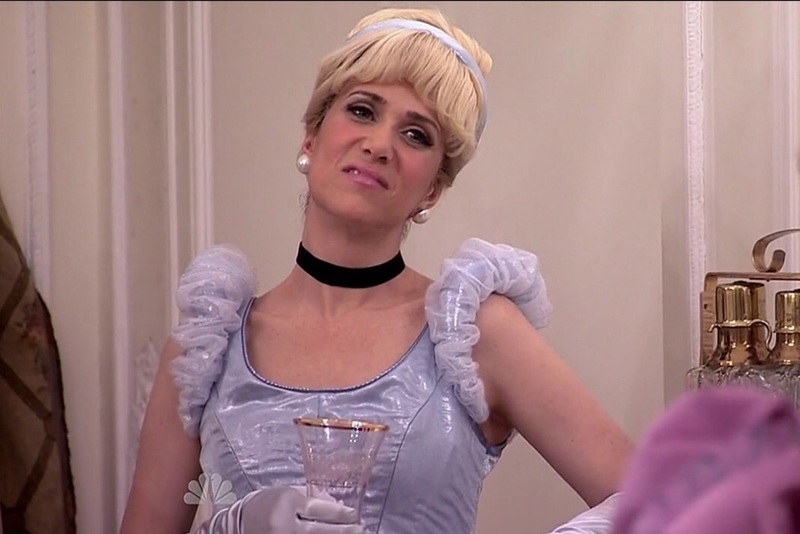 Incidentally, I’m also still waiting for someone to invent Kristin Wiig emojis. I mean seriously- why is this not a thing yet? People would use those things daily. She has a face for every occasion. In fact, someone needs to invent emoji’s for all the women in The Funny Girl’s Club. But for now, we have memes and GIFs. And Thank God, because they basically cover all my feelings about life. Here’s what I love about the Kristins, the Tinas, the Amys, the Mayas, and the Mindys of the world: There is no vanity in their comedy. These are beautiful, funny, whip-smart women who have no problem ditching any sense of self-preservation in pursuit of sharp comedy. And like all things that are really funny, it’s because there’s an element of truth to it. These ladies find that element of truth and they commit to it. They truly believe that it doesn’t matter if it’s cute, as long as it’s funny. That is the club I want to be in. Adrienne- sometimes life is just not funny. And that’s okay. Sometimes you’ve gotta laugh or you’ll cry, but when you can’t laugh you just feel the feels and survive it. And then you slowly find your way back to the fun and carefree version of yourself. Kinks or no kinks, I’m glad your sense of humor is intact. You’re awesome ? I agree completely! I loved Mindy Kaling’s first book and hope to read her new one soon. These women are so funny, so real, and just seem like they could be friends. Keri! This is so exciting. That you and your hubs are watching Scandal, I mean. You will not be sorry. My husband gets annoyed with all of Olivia Pope’s dramatic facial expressions but he is still totally sucked into it, which I love. We still haven’t started Blackist yet, because October’s schedule is trying to kill me dead- but I will let you know as soon as I watch it! Allie- yes! Both of Mindy’s books are fantastic! I fully recommend them both. ? Happy reading! Hilarious. Gosh, this is so good. I, too, want in this club. And I want Parks and Recreation to come back on television, because I JUST CAN’T GET OVER THE END OF THINGS. Just discovered this place and your wit. So glad to now be following along. Bekah, thank you for reading along! ❤️ Always love new connections with fellow writers! Okay, it’s official, I love you! 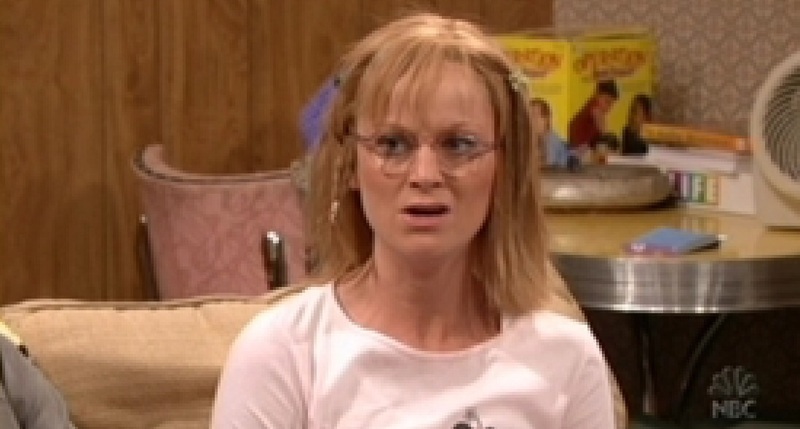 I think we should start the KTAMM online funny girls’ club. Oops, did I just raise my freak flag again? insert GIF of Kristin twirling her hair as her words slowly fade. It’s official, I love you too! I want in too! I harbor a belief that they would accept me as one of their own.